READ my new Earth Shift Report, where I talk about Trump-NATO debacle, May-Brexit fiasco, Putin-Trump Summit, and much more — from my unique multidimensional perspective! Introducing EARTH SHIFT WEBINAR 6: THE PUTIN ENIGMA + MULTIDIMENSIONAL GEOPOLITICS CERTIFICATION! Hold on to your seat, as you are guaranteed to hear brand new revelations and make fascinating discoveries! I promise, you’ll experience those ‘Aha!’ moments and finally put the two and two together! Putin’s TRUE multidimensional origins and his REAL role during this Great Earth Shift revealed! Who is really Vladimir Putin? Why does he continue being mega-popular around the world, despite many years of character assassination attacks? Why is Putin’s rating so high and why is he beloved by so many Russians? How and why does he manage to garnish so much support from elites and ordinary citizens alike? Why, no matter what Putin does, he ends up the winner? The enigma of Putin’s name explained! What does Medvedev’s appearance and his posture says about him? 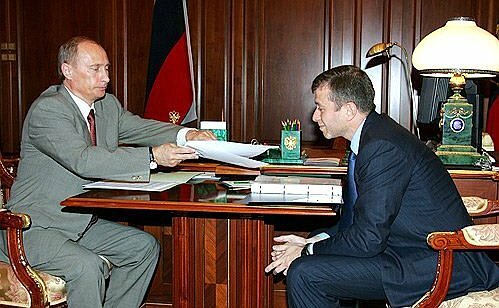 Why, no matter how much pressure he receives, Putin doesn’t fire Medvedev? Why is Medvedev always near Putin one way or another? Will Putin run for reelection in 2018? If he does, when will he announce his candidacy? What to expect in the next 6 years for Russia and world? ​Reincarnations, past lives, karma and destiny! What does PUTIN’s name really mean and how does it resonate with Russia’s destiny? Do you want to know who really is Dmitry Medvedev? I can promise you that his true origin is as much of an enigma as Putin’s, and his role is rather important and rather fixed in this space-time continuum. In contrast to Putin, Medvedev is almost universally disliked in Russia, on both sides of the political spectrum. However, Medvedev represents something very important, ​and he hasn’t gotten to the top by accident! Prepare for your eyes to pop when I tell you how his role in today’s Russia is intrinsically connected to what happened 100+ years ago, during WWI and 1917 Russian Revolution, and how the last Russian Emperor Nikolay II and Grigory Rasputin come into play! How does the 1917 Russian Revolution relate to what is happening now in Russia and around the world? What was the real role of the USSR and who really was Lenin and Stalin? Was the USSR supposed to disintegrate and how Gorbachev and Yeltsin come into play. What happened in 1999 and how Putin became president. ​How is Russia’s role as the Great Balancer affected by karma and previous millennia of forbidden history? How is it affected by what happened 100 years ago, in 1917? In this webinar you’ll learn about the Destiny of Russia, past lives, reincarnations, powerful multidimensional Earth Shifter oversouls, Earth Keepers and Protectors. You will also learn about the new hope and new timeline for Russia and humanity! I’ll reveal to you information from the cosmic Akashic Records​. This webinar includes some crucial for your understanding quantum calibrations and interpretations for Putin, Medvedev, Shoigu, Lavrov, Maria Zakharova, Lenin, Stalin, Gorbachev and Yeltsin. CLICK FOR COMPLETE ESW6 INFO & TO WATCH THE PUTIN ENIGMA SLIDE SHOW! EARTH SHIFT WEBINAR 2: INVERTED COLLAPSE IS LIVE ON LADARAY.COM! EARTH SHIFT WEBINAR 2: INVERTED COLLAPSE! Watch or listen (MP4 + MP3 included)! Lada has also included some valuable bonuses you will discover when you purchase this webinar. 3 WEBINAR SERIES and save $27! The THREE WEBINAR SERIES (ESW2: INVERTED COLLAPSE; ESW3 THE FUTURE OF MONEY; ESW4 LADA RAY PERIOD 8 PREDICTIONS) is designed as a continuous flow of info and knowledge. As you’ll see from listening to ESW2: INVERTED COLLAPSE, there is a mutual reception between all three. Each webinar in the series builds and expands on the preceding one. If you want to obtain the full knowledge of what Lada is trying to impart through these unique webinars, it is highly recommended you subscribe to, or purchase, the entire series of 3 EARTH SHIFT WEBINARS! Color Revolutions: Who and Why Takes Advantage of Border Disputes and Historic Resentments? Ask Lada 4. Color Revolutions: Who and why takes advantage of border disputes and historic resentments? In response to my latest article Greferendum Domino Effect? Revolution Coming? The Future of Europe and Eurasia? Lada, Thanks for the info on the Finnish-Soviet war. I really knew/know nothing about it. Just part of the radicalization and lead-up to WWII, obviously instigated by the usual suspects. But what historical grievances might have been involved were outside my ken. Maybe it is just nationalism. No matter how nice and decent the Russian Empire or USSR were, some groups wanted their own country. And now Finland is just a colony. The reason I brought up the borders of the USSR was not to be anti-Russian. I know that Russia subsidized the other regions. But intentionally mixing cultures and leaving things up to Moscow had all kinds of side effects, which we are seeing today. It seems to me that the borders needed to be straightened out before letting the USSR go away. Besides the Ukrainian mess, many other regions could have been straightened out under Soviet rule and they weren’t. A big Armenian area is next door in Georgia. Georgia had Abkhazia and half of Ossetia. 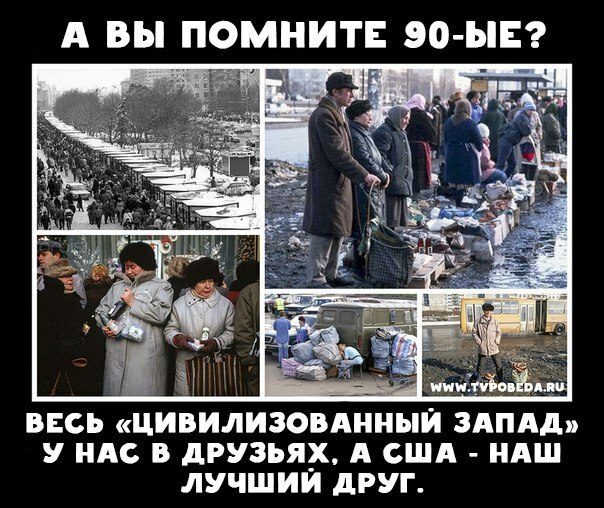 Ethnic Russians were stranded all over the place and are now discriminated against. This is a big deal. I read a comment from someone in the Crimea who said he basically had a bad view of Russia for the last 23 years. They betrayed all the Russians before, and didn’t care about them at all for 23 years. Now they might lose their base, and they talk about the Russian World and a Russian Spring. He thought that this was a big cause of all the Nazis inside the Ukraine who come from the historically Russian part of the Ukraine. Anger and a feeling of betrayal. Obviously, I have no idea, never having even visited that part of the world. So we need to look at the recent past to not make the same mistakes. Many intelligent and well-meaning people downplay or even try to ignore or suppress nationalism, but it is a real motivation for many people. For better or for worse. In my view, it isn’t so simple as “a bad guy from far away came here and gave them cookies to kill their cousins”. With the collapse of Communism and the spirit of internationalism in it, people needed something to believe in. The corrupt oligarchs could offer nothing, and the fallback position was an ugly kind of nationalism, not just in the Ukraine, but also in countries such as Georgia. We all need positive visions and models. This is true of so many things, whether in our personal lives or with big things, such as the EU. This comment brings up many important issues and questions. I tried to respond as fully as possible, leaving some of the things implied. You can glean deeper into the issues by revisiting ESR 3: OLIGARCH WARS. Some of these issues, such as mixing different nationalities in one large umbrella culture, are a norm for large unions. Look at the EU, or USA, for that matter. We were mixed in one country, therefore, we will resent that country forever, does sound awfully immature and silly, don’t you think? Humans are a very social species, they are supposed to interact with each other closely – and yes, mix. That said, the USSR was absolutely meticulous in providing the platform for unheard-of self-expression to small cultures, which would have been suppressed, and probably disappear entirely, as part of any other country. USSR went as far as creating alphabets and writing systems where they didn’t exist, subsidising art and literature in national languages and having mandatory national language study in republics, whether students wanted it or not. 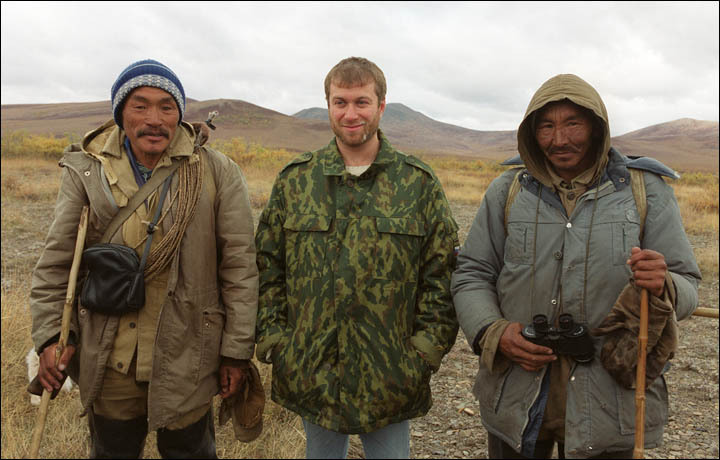 For example, USSR created alphabet and writing systems for many small tribes of Siberia… and for Mongolia. Yes, there was no writing system in Mongolia before 1920s. The land of the great conqueror Genghis Khan, who created a huge empire, subduing Russia, China and Persia – and no writing system? No monuments of any conquests built, just scattered illiterate nomadic tribes? No books commemorating and glorifying such conquests? No legends? Hard to believe, right? This is why there is a serious doubt such empire ever existed and the Mongol-Tatar yoke ever happened in Russia. History, as I said many times previously, was re-written. As much as I am an internationalist, even I feel the USSR might have gone a little too far… Celebrating diversity and multi-culti was the USSR’s ‘cult’ of sorts. You thought US or EU invented political correctness? Absolutely not! It was the USSR all the way – the West just stole the idea. As a linguist and international relations analyst (a couple of many hats I wear) I can attest to this first hand. When USSR fell apart, all this support of local cultures backfired on Russia, due to the violent and disgruntled super-nationalistic minorities within such cultures, and due to the well-known international forces that had one goal in mind: destruction of the Russian World to free up space for the global takeover. That said, we do have a global resurgence of nationalism, religious extremism, militarism and fascism. This is the sign of this PERIOD 8, as I call it. Therefore, there is nothing extraordinary in the fact that tensions flare up in the former Soviet republics. It’s part of the period we live in. Meanwhile, it has to be understood that these tensions will always emerge where the weakest links reside. By seeing where tensions flare up, we know where the weakest links are. They are historically known, these weak links. Caucasus, Balkans, Middle East – no surprises. Ukraine and Moldova should have been expected too. Paul, I don’t think I ever said it was some bad people who gave out cookies on maidan that caused the Ukraine coup. The ‘bad, cookie-wielding people from across the big pond’ simply used the situation skillfully to their advantage. Said another way: there is an old CIA/MI6 playbook: How to create color revolutions. It is the opinion of some very good analysts that this playbook hasn’t changed (it was only perfected) since the beginning of the 20th century. Why change what works wonders? That’s how all these color revolutions we have observed, were created. Be it France to unseat De Gaulle, or Hungary in 1956, or Georgia, or Egypt, or Serbia, or Ukraine… It’s the same exact playbook. That’s why it was so easy to predict from the start that there would be cookies on Kiev maidan (or lavash, as in Armenia) and mysterious snipers, and innocent victims promoted all over Western MSM. What this playbook targets is this: it capitalizes on the deep-seated resentments and anger of the volatile and immature part of the population. Extreme nationalism is part of the resentment and dissatisfaction due to the collapsing standard of living. This is why there was no nationalism in the USSR – the majority lived reasonably free (yes, free – in a sense of personal freedom to be yourself and live according to your tradition), was reasonably satisfied and well-occupied. There will be more about that in my upcoming video: Brezhnev’s Passport: Who Really Ruled the USSR. The movements to change things and the local power grabs began only after Gorbachev destroyed the structure that worked. Gorby’s intention may have been to reform and rebuild on the new level, however, in his naiveté he had no idea who and what he was dealing with internationally. You can’t try to negotiate in good faith, you can’t try to build cooperative relations with those countries that have one exclusive goal: to destroy your country. This is why most Russians consider Gorbachev a traitor and criminal. However, I think this is too simplified of a view. He genuinely thought he was building a new, cooperative world with the West – the world without confrontation. But along the way, he and his wife fell for the trappings of Western materialism, aka, very subtle bribes. The urge to build a world without confrontation is one of the quantum predetermined, genetically embedded characteristics of the Russian people. It stems from the fact that Russia serves as The Great Planetary Balancer (see PREDICTIONS). This is why Gorby behaved that way, this is why Stalin didn’t believe Hitler would attack the USSR, this is why Putin is doing everything to prevent the big war. Nationalistic element is always present in the background of any society. But color revolutions are only possible when there is a lot of dissatisfaction with individual’s life due to high unemployment, lack of certain freedoms, enclosed society with lack of prospects and poverty. Dissatisfaction with one’s lot in life and lowly anger and jealousy towards someone who is doing better is then channeled in a specific way. The more ignorant and brainwashed the population – the easier it is to do so. Students, and generally young people, are always those who serve as main cannon fodder for carrying out color revolutions. There is a number of reasons for that: young people often feel their parents didn’t do a good job and want change at any cost, however poorly thought out; students congregate in colleges and can be brainwashed easier together, after which they can be manipulated in a certain way; certain arrogance, lack of wisdom and ignorance of youth that makes them think they know everything; preponderance of fire (physically aggressive) energy that doesn’t find satisfactory outlet in productive activities – and gets directed towards destruction; higher unemployment and much extra time among youths; low wages and need for money, making it especially easy to buy young people. ‘The big Armenian area is next to Georgia’. Nope, the Armenian-populated area called Nagorny Karabakh is between Armenia and Azerbaijan. There is an ongoing conflict between the two, both considering Nagorny Karabakh their own for different reasons. Meanwhile, Karabakh is in the position of Donbass and Pridnestrovie. The conflict continues flaring up periodically, kept in check by the UN-mandated Russian peacekeepers stationed there. Nagorny Karabakh leans towards Armenia. The real resolution of this issue will only be possible when both Armenia and Azerbaijan become parts of the new Eurasian Union. This is why various forces in Azerbaijan and out will do everything to prevent this from happening. My prediction: it will eventually happen anyway. South Ossetia and Abkhazia were former autonomies within the Georgian Soviet Socialist Republic, attached to Georgia by Stalin. They seceded de-facto as soon as the USSR fell apart. You have probably read my extensive article about the 2008 Georgia/S. Ossetia war, where I talk about all that. Presently, both S. Ossetia and Abkhazia are slowly integrating into the Russian Federation, first unofficially. Populations of both unrecognized republics wanted to do it right away, feeling rightly that only Russia can provide them with protection, but are forced to live in a limbo for a while, due to resistance from Georgia and the West. It’s not the first time small cultures want Russia to protect them. Armenia was once in this situation; Georgia once begged for Russian protection against Persia and Osmanic Empire, and acceptance into the Russian Empire – and look how diligently now they try to force their neighbors in S. Ossetia and Abkhazia into oppression; Ukraine once begged to be accepted into the Russian Empire, same with Finland, as discussed in previous article. How interesting that when the shoe is on another foot, those who were oppressed and begged for help in the past, now happily become the oppressors and bullies! A very similar to S. Ossetia/Abkhazia situation exists with Pridnestrovie and Gagauzia (Moldova), but it’s complicated by the fact that the latter have no borders with Russia. Of course, the worst of conflict exists between Donbass and Ukraine. Prediction: All these territories and former republics will need to learn to balance their own nationalistic interests with living and functioning cooperatively within a large union. As a matter of fact, we are in the period when everyone on the planet is learning to balance personal needs with those of the global society. Humans are now learning to balance their national needs and preferences with the needs and demands of the entire continent, union, or federation to which they belong. A balance of rights and obligations is key. In all this Russia is playing the crucial role as the The Great Planetary Balancer. Going deeper: balancing personal with the needs of all. Does Russia owe or is Russia owed? Paul, my personal view on all these ‘betrayal resentments’ is probably known to you. I will reiterate. We all have personal history of some sort. You probably heard me say that I had relatives on both sides of the Russian Revolution and Civil War – Reds and Whites – some of whom lost fortunes fighting against the Bolsheviks, and others did well in the USSR. I write about such set up in GOLD TRAIN (Accidental Spy Russia Adventure), partly based on my family history. In 1991, I would be one of those who got stranded in Ukraine, just like my sister and her family, if I didn’t know to emigrate before it happened. My sister had a hard time in Nikolaev, a typical Russian city tragically stuck in Ukraine’s backyard. Nikolaev, same as Odessa, Donbass and Crimea, was and continues being neglected and humiliated by Ukraine authorities and ‘real Ukrainians,’ aka, ukro-nazis. There is so much more to my personal story, such as: how at least one member of my extended family was touched by Stalin’s repressions and how many members of my family were lost to the Great War. Point is: we can make personal dramas out of everything and anything in life, brewing in our own misery and resentments, thinking someone OWES us the world, while we owe nothing back, and forgetting how much that country – Russia/USSR – gave us. One of the best educations; amazing culture and art, including books, movies, theater, sport, dance, songs; tons of freedom to develop and grow; completely safe, crime-free, natural environment; peaceful and nice, non-stressful atmosphere, where it was easy to breathe. The rest is up to us: we have the inner power to make a life for ourselves we desire. And yes, sometimes it’s hard. My sister and her family moved to Moscow the first chance they got in the ’90s. At first, they were considered illegal aliens, having only Ukrainian passports, while ethnically being Russian. Was it unfair and humiliating? You bet. But they had no resentments – they just kept their heads down and worked out all the bureaucracy issues, obtaining work permits, passports, establishing families in Moscow. My nieces can’t think of a better place to be. Same goes for many other people I knew in the USA, who first emigrated, but later returned to Russia, and who now live happily in Moscow or elsewhere in Russia. The list includes some very close relatives and friends. To that I could add that those people I know from various countries who bought some nice vacation properties in Odessa, are now having a problem getting into Ukraine to visit their property, as transportation between Russia and Ukraine is shut. Moreover, real estate in Odessa fell precipitously after the 2014 ukro-nazi coup and the May 2 burning on Kulikovo Polie. They can’t sell their properties either. I chose to live in the West at the time because of my career and family situation. As far as I am concerned, Russia has been doing soooo much for the world, without getting nearly enough in return. I personally feel I owe Russia everything, while Russia owes me nothing. This is why I write and speak up about the truth concerning Russia, asking for absolutely nothing in return from Russia. Someone has to explain all this to the people in the West. 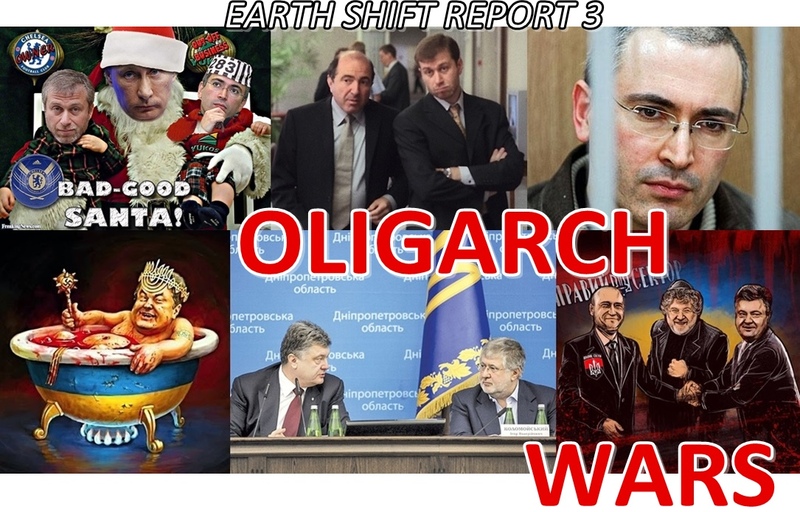 I know you read my Earth Shift Report: OLIGARCH WARS, where I built an extensive case around psychological resentments and abandonment issues on the part of Ukrainians and other former republics after the collapse of the USSR. While this resentment exists, it’s incredibly childish and un-evolved. Humans are a very funny species. We can create resentments out of thin air and brew in such self-righteous resentments and anger for generations. Humans love blaming someone else for their problems, don’t they? It’s so much easier than taking responsibility for own actions. This myopic tunnel vision, where some un-evolved souls see only their small point of view and are unable to expand their horizons, is one of the tragedies of mankind in general. This is how wars start and countries fall. The wise and evolved humans get over anything life throws at them, make peace with the past, and make a good life for themselves, while also keeping the warm feelings towards their Greater Motherland. 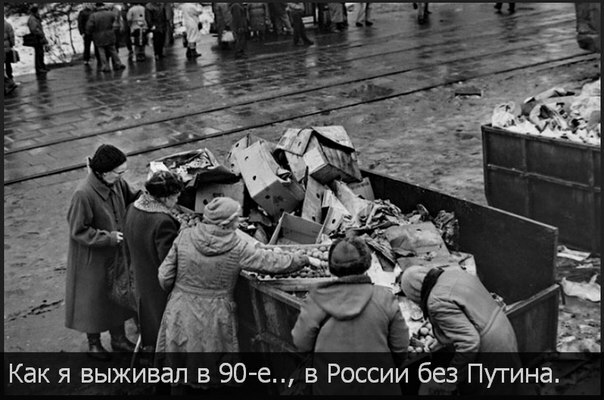 This is what a majority both inside and outside of Russia/former USSR is doing. Talking about how one felt betrayed for 23 years, blah, blah, is just sensationalistic and encourages lowly emotions and usurious behavior. While it’s very human, it’s also very American (I mean sensationalism and creating noise in the MSM about someone’s private complaints, as if they were gospel). For all these reasons I feel no sympathy for anyone who whines how they were betrayed by Russia. Time to get over it. Russia owes them nothing, but they owe Russia a lot. One of the things they owe is to stop being the sheeple and reclaim their power, build a good life for themselves and put an effort to create the country(ies) they want their children to grow up in. Then, everything will start magically falling into place. Here is an example of how this can be done. Just last week we saw how the attempted ‘electric maidan’ color revolution in Armenia failed because people understood what mess Ukrainians made out of their maidan, and refused to be someone’s guinea pigs. Another American whom I personally respect, called Mohammad Ali, once said that we have to pay the rent for living on our planet. We take a lot from our Mother Earth, and we owe her back. Same with Mother Russia. To answer your question: no, it was impossible to straighten out all conflicts and rectify borders on the post-Soviet space. It’s naive to think that centuries-old inter-tribal historic conflicts with unclear and fluid borders for generations, could just be assigned in a straight line on moment’s notice. This is how UK and other colonial powers did it in Africa and America. India and Pakistan were also divided this way, clashes between them ongoing till recently, as a parting gift from the disintegrating British Empire. Stalin, Lenin and Khrushchev did some of that experimentation too, resulting in big problems later. The Middle East has seen some crazy redrawing of borders, resulting now in terrible inter-cultural conflicts. In Yeltsin’s defence, not only he had the volatile situation in Russia to deal with, but he also naively thought that the USSR would be re-build on different principles soon. Therefore, he didn’t worry about borders too much. It didn’t occur to him that local feudal/nationalistic/oligarchic interests would take over almost immediately, aided by foreign powers who craved the Russian World’s resources and destruction. Again, in his defence: he was born and lived his whole life in the USSR, where all these things were alien. While USSR was strong and stable, any inter-tribal conflicts were kept very successfully in check by virtue of mutual trade and unifying Russian culture. If there were national security considerations, borders could be redrawn (right or wrong). This especially concerns Caucasus, Moldova and Ukraine. Once the USSR was gone, these old conflicts flared up again. Border settlement and rectification would be absurd and couldn’t happen in principle on moment’s notice when the country was already disintegrating. It often takes centuries to settle border disputes, and they still keep brewing unless a lasting compromise can be found, such as a large umbrella union. Unions serve as containment factors for border disputes. France and Germany settled some of their border disputes only after EU was formed. That’s actually why some glorify EU as a means of bringing lasting peace to the European continent for the first time in millennia. There is some truth to that; EU did that – but only before it succumbed to the dark agenda of the NWO and Transatlantists. Let’s recall that both world wars have started in Europe and it’s understandable that EU citizens want to avoid a repeat of the same at any cost. Also look at Japan, China, Korea, Vietnam, India and Pakistan and their long-brewing border disputes. Prediction: the ongoing border disputes between India, China, Pakistan, Vietnam, etc., will be put to rest as all these countries join SCO, Eurasian Union and the New Silk Road project. The BRICS already helped smooth out the long-brewing border dispute between India and China. Russia in all this, just like in the past, has been acting as that glue that helps keep peace and deflects conflicts. This is part of Russia’s global role as The Great Planetary Balancer. Prediction: In addition to all the above, and most importantly, most former Soviet republics (including Ukraine and the Baltics) either never were successful independent states, or never were independent states within bloated borders they had as Soviet republics. In OLIGARCH WARS (and my various articles) I described how borders were given to republics based on political expediency at the time. Unfortunately, later, these republics refused to release territories they were assigned for the purposes of the USSR, now considering them their own. Due to the fact that it was Yeltsin in power at the time, there was no one to address these complex issues. The existing legal system was torn out with its roots in the ’90s. The new legal structure, both in Russia and Eurasia is only now being re-built. There is still a lot to do. The mess created by the split wouldn’t have been possible to clean up quickly by the wisest person alive at the time. It’s only possible now and it is being done – by Putin and his team. It will be a very slow and careful process so not to create a new mess. It has to be done right, based on principles of equity and taking into account interests of many newly emerged little countries, but without giving away any of the Russian interests and power. The issue of borders among former Soviet republics will be settled by mid-2020. It will only be possible, yet again, as part of Eurasian Union and other Eurasian organizations. The alternative is perma-conflict. There is no other way. By mid-2020, the world will look very different, some countries will be called differently, and borders will be different, too. Lada’s Investigation: Who Benefits from the Death of the Russian Opposition Leader Boris Nemtsov? I said on various occasions that attempts to destabilize the situation in Russia, and various provocations against Russia, will continue. In January, I also said that we should expect a massive false flag, possibly something to do with killing of major politicians. I, as many others, was watching Ukraine for that. But following the rule that watched pot never boils, while we were looking at Ukraine, it happened in Moscow. However, there still is a very clear connection to Ukraine. Read about that below. Today, on March 1, the Russian pro-West neo-liberal opposition, together with its leaders Boris Nemtsov, leader of the right-wing party Parnas, and Alexei Navalny, planed a mass anti-Putin rally in Moscow. Just less than 2 days before that Boris Nemtsov was shot with six bullets into his back from a passing car, while strolling near Kremlin with his girlfriend, a Ukrainian model who just flew in from Kiev. Boris Nemtsov isn’t just any politician. In 1990, when it was still the USSR, he was elected to then Russian parliament at the age of 31. At 32 he became the youngest governor in Russia. As governor of the large industrial region of Nizhny Novgorod, Nemtsov presided over the 1990s privatization. In 1997 he became deputy PM of Russia, being so close to Yeltsin that he was practically considered as Yeltsin’s son and heir to the Russian presidency. Then a rift happened. Nemtsov resigned and created The Right Block party. His party soon fell out of voters’ favor. 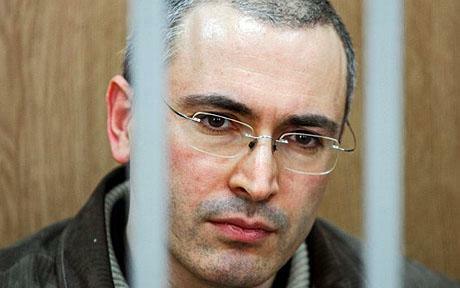 He made a number of crucial mistakes and bad decisions, which put him in hard opposition to the Russian government. Despite being unable to get through the threshold for Duma elections, he was considered the most likable and popular neo-liberal opposition leader. As Nemtsov turned into a poster boy of the hard-core anti-Putin pro-West opposition, he also became personal advisor and good friend to the 2004 Orange Revolution executor and former pro-US president of Ukraine Victor Yushchenko. That didn’t win him any fans in Russia. Nemtsov has been equally close to the present Kiev junta leadership. That said, people also note that Nemtsov was honest, sincere and uncompromising in his views and that he was incorruptible. Because of that, he wasn’t a rich man. Some have been comparing his political career to that of Trotsky. Of course, it has to be remembered that the rule in Russia is to say only good things about the dead, or nothing – so take the above with a grain of salt. At the same time, it is a well-known fact that all oppositioners in Russia have always been ‘fed’ and financed by Western NGOs, Soros and US State Department. 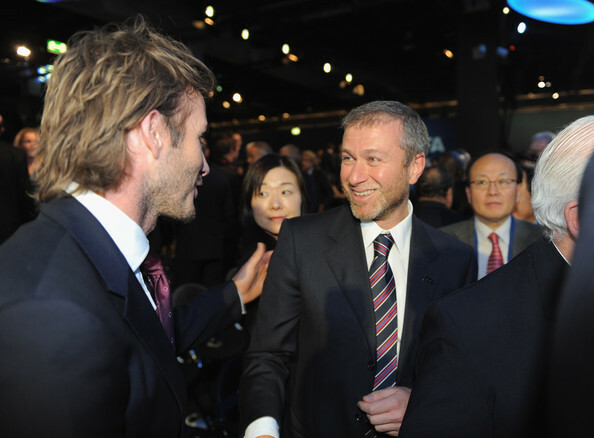 They regularly attend meetings and have private discussions with US ambassador, inside the US embassy in Moscow. It’s anyone’s guess what they talk about. Nemtsov was a frequent guest at the US embassy. Another truth that should never be overlooked is that he, as governor and Russia’s deputy PM/part of Yeltsin’s staff, contributed a great deal to the catastrophic privatization and the destruction of Russian economy in the 1990s. History will judge his real contribution to the country – good or bad. My impression is that overall, he was a harmful and negative influence on the country and economy. Per my latest posts and YT videos, US and Kiev junta were unable to destabilize Russia and take over entire Ukraine as they planned. An attempt to destabilize Russian economy through the attack on the ruble and anti-Russian sanctions didn’t bring the desired results either (the Earth Shift Report on this conspiracy is coming). Liberal opposition, despite generous contributions by the US State Department and Western NGOs, is unable to get enough votes to get into the Duma; its rallies attract fewer and fewer people, far below the numbers they need in order to start a Kiev-like maidan revolution in Russia. Of course in view of all the above, the killing of one of the leaders of the opposition cannot be a coincidence. As usual, the question to ask is: WHO BENEFITS? And who doesn’t? It doesn’t take a genius to see that certainly Putin, Russian government and political class do not benefit at all. It reflects badly on FSB and police, and Russian government again has to endure attacks from the West. Therefore, they have to be total morons to do such a thing in order to give the West yet another opportunity to malign Russia and Putin. Needless to say, Putin and his people aren’t morons. As my readers know, I don’t watch or read Western MSM, but even I hear that as a result of the Nemtsov killing, the anti-Russian howling is on par, or even worse, than during MH17 downing last July. 1. USA and Anglo-American elites. I wouldn’t say the West in general benefits, because there is a clear rift between the positions of France and Germany, as well as the majority of southern/western Europe, vs. US and UK joined by a few of their lapdogs, such and Poland and the Baltics. The anti-Russian sentiment in the EU started slowly subsiding as Berlin-Paris and Moscow are trying to work together on Ukraine peace. Because there is a growing rift between US and EU, US needs desperately to re-awaken the anti-Russian sentiment and animosity between EU and Russia and to ‘re-subdue’ Western Europe to its will. US cannot afford NOT to have EU firmly in its corner as it would further weaken the US empire and petrodollar. But EU is slowly but surely breaking away. What does US want to accomplish with this false flag? US wants a bloody color revolution in Russia; they want destabilization with eventual break up of Russia, in order to take Russia over economically and militarily. US cannot win a hot war against Russia, therefore, the only way is to blow up the country from within. I wrote about how this works in my thrillers Gold Train and The Earth Shifter, which you can check out on Amazon, BN, Kobo, Sony, Apple and many other paperback and ebook retailers. Therefore, the biggest beneficiary of the Nemtsov tragedy is the US, with UK in tow. Let’s also remember that US has the means, vast black black ops experience, and all the dollars in the world to execute such assassination. 2. Ukraine and Kiev junta benefit tremendously. Russia is a huge irritant for them. Russia is in their way of trying to conquer Donbass. They think that if Russia is busy with color revolution on Moscow streets, then Kiev junta is free to resume the killing of the Donbass people. In addition, the revenge scenario for Crimea, Donbass, and all other Kiev’s real or perceived humiliations, is equally plausible. However, the Ukraine junta’s SBU (security services) has much less experience and means than the US in executing such provocation. They certainly have fewer brains – remember the botched MH17 false flag in Ukraine? The plus for the Kiev junta is that they may already have people on the ground in Moscow, Ukrainians speak Russian and blend in best. 3. Separately, far right ukro-nazi parties and battalions, who are not accepting Minsk peace agreements, could conceivably execute the killing on their own to provoke animosity, conflict and maidan in Moscow. And of course, revenge for losses and humiliations. But it is less likely they would do so on their own. Ukro-nazis may be behind this as executioners, but they most likely would be acting on behalf of Kiev and US. Could Kiev be using ukro-nazis for that? It is less likely, as ukro-nazis are unruly and undisciplined. It’s much more likely that SBU is using its people – probably Ukrainian black ops trained by US. 4. The anti-Putin opposition itself may also benefit, at least on some levels, although opposition politicians say that they couldn’t possibly do something like that. But surely, there always are rotten apples who would. Since the opposition’s influence is waning and they are unable to convince people to dislike Putin, whose rating is at 86% as of now, the only way to spur people into a color revolution may be a false flag such as this. In all likelihood, the killing was organized by US and Kiev jointly. I think the involvement of the opposition to provoke a maidan in Moscow is very minimal as it seems there is no upside here for them. As of now a lot of people look at them with suspicion that they may be behind it. Plus, they lost their most charismatic leader. I believe that US and Kiev jointly needed to generate this false flag in order to start a new wave of anti-Russian sentiment in the EU, in order to: 1. derail the peace process; 2. destabilize the situation in Russia; 3. vilify Russia; 4. strain Russia’s resources; 5. and of course, as a revenge for their failures and humiliations. For that they have used Nemtsov as a sacrificial lamb. The goal is to manipulate the ‘naive’ Russian liberal opposition in order to ignite a bloody revolution in Moscow. This scenario isn’t that different from what happened on Kiev maidan in 2014, where masses were manipulated by western MSM, sold-out politicians, well-trained militants and snipers, into a bloody mess. The place of the killing – 200 meters from the Kremlin – was also chosen for this purpose. But as you will see below, there is a huge difference between Ukraine and Russia. The attack was very well thought out. There were several killers. The 6 bullets were all from different manufacturers, to make it harder to trace, shot from different guns. 4 wounds were lethal. All were shot from the back, so the Ukrainian girlfriend would have plausible deniability and could honestly say that she saw nothing. It was dark and there were very few pedestrians. People seemed to have seen a white car, but couldn’t see who was in the car. After a late dinner at one of the GUM cafes on Red Square, Nemtsov and his Ukrainian girlfriend were taking a stroll across the bridge in the direction of the Bolotnaya Square, where Nemtsov’s opposition had previous rallies, including the protest rallies in 2011-12, when liberals were trying to prevent the re-election of Vladimir Putin. Perhaps, the girlfriend asked him to show her that ‘famous historic place.’ It was extrmely easy to catch on to the couple on the deseted bridge, with perfect view of the Kremlin, but away from eye-witnesses. The killing was styled to appear as the 90’s style mafia hit, very close to the style of the Vladimir Khodrokovsky’s crony Nevzlin, who is now hiding from prosecution in Israel. This was done possibly to confuse the investigation. Incidentally, Nemtsov was a very independent person, who went anywhere he pleased, was always public and never used bodyguards, despite often getting death threats. Those who did the killing knew that. The important detail is the presence of a girlfriend from Kiev, who flew in just previously. All experts say as one that usually during a professional contract killing such as this companions never survive. This one did – unharmed. She knew him for a couple of years, they say. Was she a CIA asset, who was making sure Nemtsov was kept on a leash? Or was she for real, but with the latest events in Ukraine either ukro-nazis or the junta SBU got to her and her family? Was she threatened or paid off to lead him into the spot where he was shot and she lived? Either way, the girlfriend from Kiev is a very suspicious detail. Another very interesting detail: The color revolution in Russia was being prepared in 2011-12, in time for the Vladimir Putin re-election, and Boris Nemtsov was supposed to be one of the leaders. 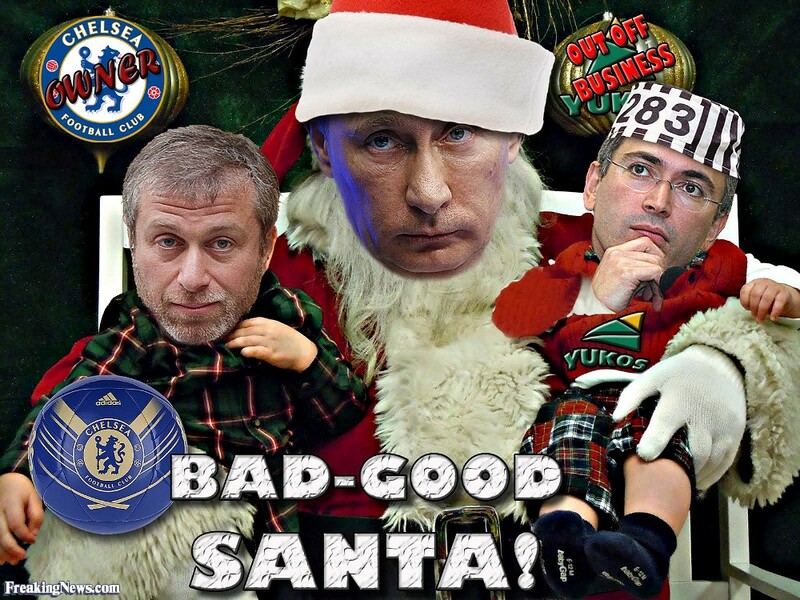 At that time, oligarch Boris Berezovsky was plotting it from his London mansion. 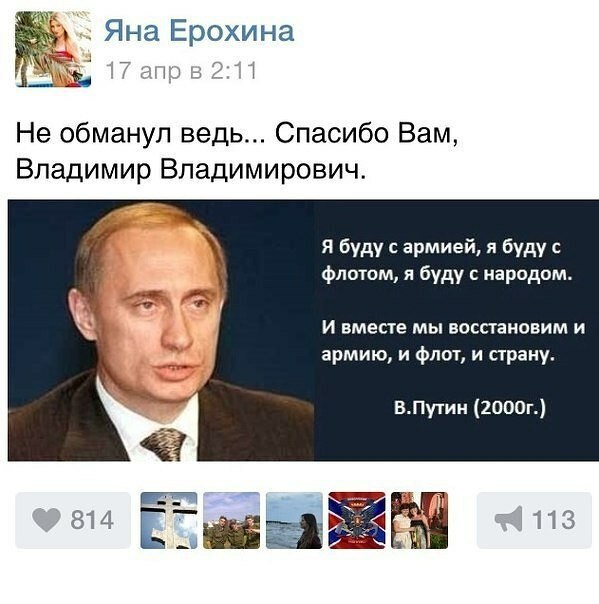 He openly said that the best way to start a maidan in Russia was to execute ‘the right sacrificial lamb.’ Berezovsky considered the charismatic and popular Nemtsov the right candidate. Nemtsov knew that. It’s interesting that Berezovsky himself became that sacrificial lamb a year later, after his plot failed. He was found in his London house after he ‘hung himself’ as UK investigators concluded, but with suspicious bruises on his neck. It turned out that just previously, Berezovsky passed a secret letter to Putin asking for pardon and promising to spill the beans on his UK handlers. Shortly after, he died. Seeing that, Russia made public Berezovsky’s letter to Putin, which made it impossible to pin this murder on Russia and Putin, as they did with Litvinenko a few years earlier. As a result, UK had to urgently come up with the suicide verdict, despite the dead give away of the neck bruises. Out of all Russia’s pro-Western oppositioners, Nemtsov made the best sacrificial lamb in order to provoke violence. He was best loved and respected, being considered honest and incorruptible. Another leader, Kasyanov is very unpopular and hardly loved, and Navalny is under house arrest and is being watched by police patrol, whom he should thank as they have probably saved his life. Vladimir Putin announced that he would keep the investigation into Nemtsov’s death under personal control. Today’s planned opposition rally was cancelled and instead, the Moscow administration authorized a march in Nemtsov’s memory in the area where he was shot, next to the Kremlin. This shows the strength of the Russian state and its confidence that they can keep order. In another positive development, many leaders of the opposition, as well as all other politicians in Russia, are calling for unity and restrained actions during today’s march. Of course, in social media there are very ugly and volatile comments, calling for violence, revenge, revolution, etc. However, these are MOST DEFINITELY US and Kiev shills. This false flag assassination is clearly a desperation move. I see this false flag backfiring on its organizers, just like the previous ones did. This attempt to create mayhem in Russia will fail. There will be no color revolution or Kiev-style maidan in Russia, although, as I continue warning, the attempts by the US/West to create it will continue. As we see, they’ll stop at nothing to try to tip the balance in Russia into chaos. As a result of this false flag, I see the Russian society further consolidating around Putin. It seems no one in Russia – not even Russian liberals – is buying into the ‘hand of the Kremlin’ idea. I foresee that as a result of this provocation, some Russian liberals may finally see the light and change their views from pro-Kiev-junta and pro-US to a more pro-Russian patriotic and balanced stance. One thing is to fight corruption and another thing is to work to undermine the Russian state, whether willingly or unwillingly. I see more anti-Putin Russian liberals opening their eyes to the fact that they are being a destructive tool being used by the US/West for their ulterior motives. P.S. As I was finishing this article, I saw the video, which confirmed what I said. Thousands of people gathered near Kremlin to pay respects to Boris Nemtsov, in a sea of Russian flags. The event was urgently authorised as an exception by the Moscow mayor. I notice it’s very well-organized, with lots of portable toilets and very tight security. As expected, everything is peaceful. to keep on top of new articles, Earth Shift Reports and videos as they come out! Donate – support Lada’s work!